In A&E’s newest drama series DAMIEN, Bradley James portrays Damien Thorn, a war photographer predestined to be the Antichrist. Continuing the tale from the film “The Omen,” DAMIEN explores who Damien Thorne is as an adult who does not remember his dark past or the terrible destiny awaiting him. The show dares to ask: what would you do if you found out you were the Antichrist? Would you be able to fight your destiny or reluctantly embrace it? 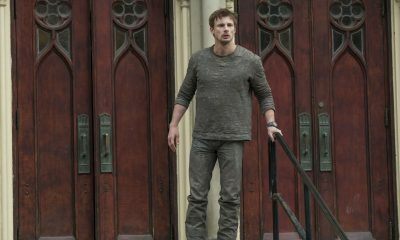 In an exclusive interview, star Bradley James talks about the curse of Damien Thorn and what the series offers beyond the spooky film it is inspired by. One of the trickiest parts of this show is why viewers should be rooting for your character Damien. 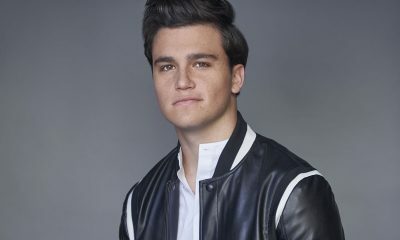 Should viewers be rooting for him? BRADLEY: I’m not sure if will be purely rooting for him. I think it will be witnessing him make a series of decisions that the audience will hopefully be able to invest themselves in and perhaps maybe agree with those decisions or not agree. I think they will find themselves juxtaposed in trying to see things simply as black and white. Will Damien’s actions be something viewers can cheer for? BRADLEY: Yeah, some of them will be. Maybe not all of them. DAMIEN has been paired with BATES MOTEL on the same night. It is interesting that two of the most evil characters of film are now airing back-to-back on television. Do you think that is going to help the show? BRADLEY: I would imagine that it has been paired for that reason to help the show. I guess the idea is that if you present a show in the way that gives the audiences the best chance to see it, you have exactly that: the best chance for your audience to grow. That’s a good sign because it shows the network put some thought into it. We finished filming ages ago, and they held off premiering the show ’til March for that particular reason. What was it like to inhabit this character’s skin, so to speak? BRADLEY: The thing about Damien is there is nothing that separates him too drastically from you or I aside from the baggage that he has to live with. Glen Mazzara said something very interesting, he is going to present Damien to an audience and make them question who he is themselves. He certainly made me do that. 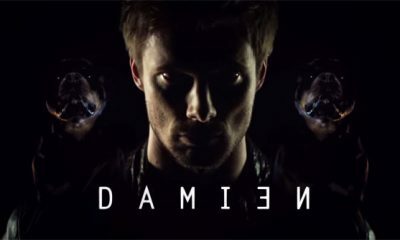 Is the first season going to be about Damien embracing his evil nature or will it be about him fighting his evil nature? BRADLEY: I think that journey and the discovery of that is what the show is all about. Why were you drawn to portray such a diabolical character? BRADLEY: It was just that idea of searching the dark side a little bit. You have previously played King Arthur in MERLIN and a kind-hearted zombie in iZOMBIE. So you thought you’d like to try playing a darker character for a change of pace? BRADLEY: Exactly! It was a very good departure from those kinds of roles. I have been quite cautious about what I was going to take on as my next big project for the reason that I did not want to do the same thing. Then this came along and it appealed to me. Do you think Damien Thorn is more root-worthing than let’s say Norman in BATES MOTEL? BRADLEY: At this time it is hard to tell. I think Freddie [Highmore] has done a great job. I feel like somewhere along the line they have tried to let Norman Bates off the hook. Well the BATES MOTEL audience empathizes with Norman right now, but we also all know how dark he gets in the future. 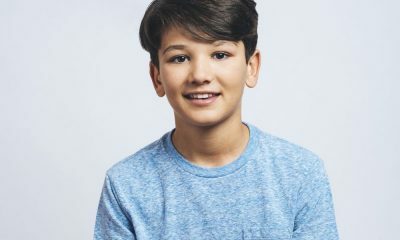 Then there is your character Damien who was born bad and he did some bad things as a young child where he may not have had the same awareness of the consequences, now he is an adult and he has more choices — at least we hope he has more choices. BRADLEY: That’s just it. The choices he has, when you have that dark cloud kind of looming over you, sometimes it does not matter what choice you make. You are going to end up up a creek without a paddle. That’s the challenge that Damien constantly finds himself in. Seemingly no matter what he does, he always has that darkness there. And maybe that is the same with Norman. But I don’t think we have gone down quite the same lines in getting the audience on Damien’s side as much as BATES MOTEL has with Norman. I really enjoy BATES MOTEL. I think what they have done is they have left room for Norman to transform. I think that is why they have made him so likable. BATES MOTEL has also introduced a lot of love and care into Norman’s universe. So he is constantly having to fight against all those people who love him and embracing his evil side in the midst of that, albeit a bit slower. Is that true as well in Damien’s case? Does he have that support and love around him? BRADLEY: Isn’t that what we all need? Yet he has no one. He certainly does not have any love in his life. No parental figures. He doesn’t have a confidante. He doesn’t have that one person he can turn to and say, “Hey, there is some really weird stuff going on. I think there might be something wrong.” He doesn’t have that kind of person in his life. So Damien is just out there in the world kind of adrift then? BRADLEY: Yeah, but it would be wrong to say that there are not people there that would like to take that role. Because there are. Like a dark mentor perhaps? BRADLEY: Perhaps. But it depends on how accepting he is of that. I mean, he has lived his life keeping people out of harm’s way. Where the show picks-up, is Damien aware of his true identity? BRADLEY: No. I think he is just aware that his life is different than other people’s. Bad stuff seems to happen around him, but he doesn’t know any better. He has just grown up with that being the case. But still he is observant of the fact that terrible stuff seems to happen around him. It is just that he hasn’t been able to articulate that and know why that is. It’s like a man running away from himself and you can only run for so long. What would you do in his shoes? 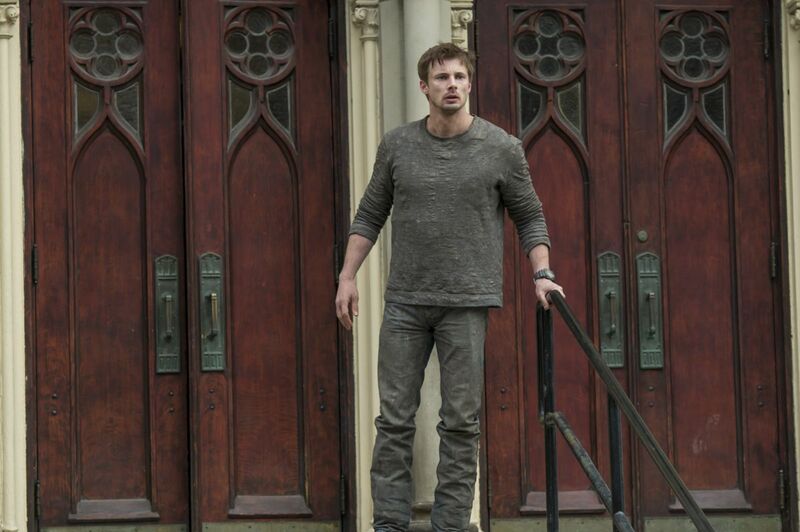 To find out how successful Damien Thorn is in fighting his fate, be sure to tune in for the premiere of DAMIEN on Monday, March 7th at 10:00 p.m. on A&E.